ESTAFEST are Mete Erker (saxophone), Oene van Geel (violin/cajon), Jeroen van Vliet (piano) and Anton Goudsmit (guitar). Four of the most eccentric improvisers in the Dutch music scene. Three of them have won the prestigious Dutch jazz music award VPRO Boy Edgar Prize. In 2109 Estafest celebrates their 100th anniversary. About time to search for dignified successors. For this tour they invite special guests. After touring the theatres last spring they keep on playing this fall. Del Ferro en Boddé are both master pianists, very open to other musical styles, notes and chords. In these concerts they take the audience on a special trip by challenging each other,. Each concert they only prepare the starting points of the music, trying to suprise themselves and the audience as well. For example the starting point will be only playing the black or white keys. Also they each choose to play a all-time favorite song and they will improvise together on classical and jazz compositions. Anyhow it’s all about improvisation and each concert will be different! Minyeshu will launch her new album 'Daa Dee' - on 21st November 2018 at the Bimhuis, Amsterdam and the album will be released internationally through ARC Music on October 26th 2018. Drawing from her cultural life experiences in Africa and Europe, Minyeshu has sculpted her signature tone – a hypnotic and modern hybrid of Ethiopian grooves and melodies, delicately mixed with Western instruments and styles. This is the second reunion tour from this band led by ‘tastenderwisch’ Jasper van’t Hof, who is awarded last June 2018 with the Buma Boy Edgar Prize, the most prestigious award for jazz and improvised music in the Netherlands. From 1995 till 1999 Izaline was part of this worldformation Pili Pili. At the time she replaced singer Angélique Kidjo. During this period Izaline also recorded 2 cd's with them. In October 2018 they will tour again. A must see! September 29 New York Round Midnight Orchestra featuring Izaline Calister playing Joy of Jazz Festival in Johannesburg. Next to that they are also playing The Orbit, Home of Jazz, Soweto Theatre and Ginz on Dynasty. This tour is a collaboration of Rabobank Amersfoort Jazz with Buma Cultuur and Sena Performers funding. Pianist and composer Thijs Borsten composes the Challenge concertseries: he invites two artists with different sounds, styles and influences They will challenge each other to perform songs of their repertoire together or alone. This edition Ethiopian singer/songwriter Minyeshu challenges Dutch-Caribbean singer/songwriter Kris Berry. Minyeshu recently released her brandnew album Daa Dee worldwide (ARCmusic). 2019 is starting with a special project of Mike del Ferro! As from 2019 January 3 till January 11, Opera Meets Jazz: Neapolitan songs and arias by composers such as Verdi and Puccini in a contemporary setting, will play the Dutch theatres. Mike del Ferro, son of dramatic tenor Leonardo del Ferro, grew up with opera and classical music. After falling in love with jazz he pursued his studies on jazz but he never lost his immense love for opera and classical music and he has always been incorporating this in his original music. A few years ago Metropole Orkest approached Mike to record an album with the orchestra with fresh arrangements written by a team of 8 international arrangers. And in 2016 they released the album Italian Opera meets Jazz recorded by Mike del Ferro with Metropole Orkest featuring vocalist Claron McFadden. The island of my father is a musical and personal double portrait of a father in his homeland and his daugther overseas. Izaline and her father travelled Curaçao together with creative director and pianist Thijs Borsten to see the island trough his eyes. It was a personal dream of Izaline to make this program because the way her father shows Curaçao it’s more beautiful, lighter and real. Her personal goal is to let everybody experience Curaçao this way: the colors,the flavours, the people, the food and ofcourse the music! Oct 25 Theater Vaillant, Den Haag 8.00 pm-SOLD OUT! Oct 28 Beauforthuis, Austerlitz 7.30 pm-SOLD OUT! Nov 25 De Roode Bioscoop, Amsterdam 4.00 pm -SOLD OUT! Much to her own surprise, Izaline was decorated at this year’s annual ‘lintjesregen’. Izaline was knighted by the mayor of Groningen, by authority of His Royal Highness King Willem-Alexander. She recieved the insignia of the order in front of a small crowd of fans, friends and family. Some of them flew in from Curaçao to attend the ceremony. Izaline was granted this honour because of her achievements as a singer composer and lyricist, being an ambassador for the language of Papiamentu and the Antillian culture, crossing the borders between and bridging the peoples of the different countries of the kingdom of The Netherlands, and for her charity-activities. Read the entire speech of mayor Peter den Oudsten in Dutch (and a little Papiamentu) here. Pianist and composer Thijs Borsten composes the Challenge concerttour: every tour two artists with different sounds, styles and influences They will challenge each other to perform songs of their repertoire together or alone. It’s like a duel which only shows wins. 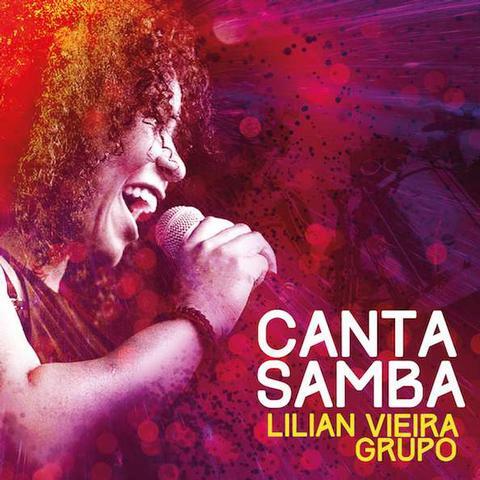 Lilian Vieira Grupo will bring their Samba Fevers to Lithuania! Starting at the nice venue Jonavos kulturos centras. The next day they will play the very well-known Klubas Ramybe at the seaside town Palanga. And last but not least the wonderful, 400 seats Kotryna church in the capital Vilnius. December 9, this all-star TRIO will present their brandnew album Live at the Concertgebouw at LantarenVenster in Rotterdam. Izaline has been performing with guitarist Ed Verhoeff for more than 10 years. In their search for a third instrument to join them, they met trumpetplayer Angelo Verploegen with his intuitive and warm sound. Expect well-known songs of Izaline but also compositions from Ed and Angelo and jazzstandards which all sounds completely different played by this Trio. Mark Haanstra and Oene van Geel share a musical history of more than twenty years. A viola/bass guitar duo is perhaps a rare, but in this case obvious combination. Traversing eclectic music genres- jazz to classical, Indian to pop music- has led them to a original idiom. Equipped with only viola and a bass guitar, they have achieved an equally suprising contrast, with what is essentially the smallest band possible! Their critically acclaimed CD Shapes of Time features special collaborations with visual artist Udo Prinsen and guitarist Raphael Vanoli. TOMMY GOT WAXED IN CONCERT ! 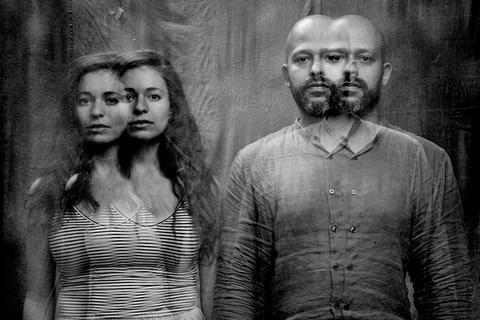 Rotterdam-based band Tommy Moustache and Sheep Got Waxed from Lithuania zap through extremely diverse genres in an explosive new collaboration. The music Tommy Moustache has been described by critics as propulsive, mildly schizophrenic and heavily confusing alternative zap jazz. Sheep Got Waxed conjured similar unique descriptions, including ‘a mix of techno, footwork, Death Grips kind of trap and George Michael played by early Beatles.’ But the music also contains free jazz and metal influences according to the band members. Calister,Verhoeff and Verploegen join forces in this special Trio and will record these two concerts at August 31, Concertgebouw for a live-abum. Izaline has been performing with guitarist Ed Verhoeff for more than 10 years. In their search for a third instrument to join them, they met trumpetplayer Angelo Verploegen. His intuitive and warm sound completes this all-star ensemble.